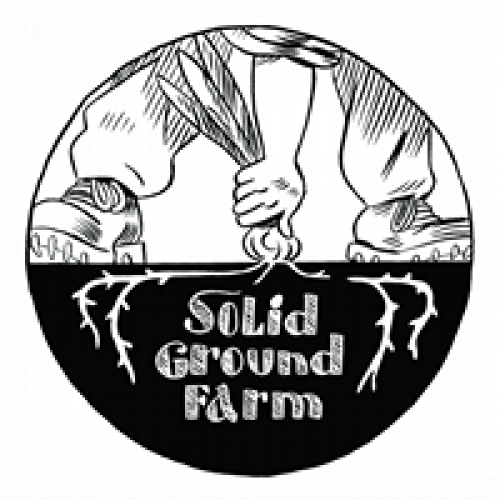 Solid Ground Farm uses all organic practices for its diversified vegetable CSA shares, and also offers non-GMO, pastured chicken and 100% grass-fed pastured beef. We use a point system for our CSA to ensure that farm members receive exactly what they want in their harvest box each week. In addition to the on-farm pick-up, we also offer a pick-up location in Catskill at our partner farm, Pathfinder Farms, for members in the Catskill/Saugerties area. Distribution Info: We deliver to the greater Hudson Valley with no order minimum, although a delivery fee may apply. Products: We grow a huge diversity of vegetables for our CSA members, ranging from delicious greens like kale, lettuce mix, and tatsoi to summer favorites like sweet corn, heirloom tomatoes, and sweet peppers, to hearty storage crops, such as carrots, beets, and winter squash. We also grow a range of greenhouse-produced microgreens, such as sunflower shoots, pea shoots, and more. On pasture, we raise non-GMO-fed, fully pastured chicken as well as 100% grass-fed pastured beef. Wholesale Information: We deliver to the greater Hudson Valley with no order minimum, although a delivery fee may apply.